3-Pc Black Oak Veneer Parquet Coffee And End Table Set. Details: End Table: 22L. X 18W. X 19H., Coffee Table: 48L. X 24W. X 15H.. Easy To Assemble. Beautiful 3 - Pcs Coffee And End Table Set for Living Room. Coffee Table: 48 x 24 And End Table:22 x 20. Easy To Assemble. 3-Pc Maple Occasional Set. Includes Coffee Table: 42L x 22W x 16.5H and 2 End Tables: 20L x 18W x 18H. Strong Construction. This 3 Pcs Coffee and 2 End Table Set is available in Sandy Nickle and Glass. End Table Size: 24 in. (L). x 24 In. (W). x 20-1/2 In. (H). Coffee Table Size: 48 In. (L). x 24 In. (W). x 16 in. (H). Beautiful 3 - Pcs Coffee and End Table Set for Living Room Area. Coffee Table: 48 x 32 and End Table: 22 round. Easy To Assemble. Also Available (Not Included In The Price) Console: 48 x 18. Occasional Tables Features Coffee Table, End Tables, Console Table and Mirror With Great Design. This is the Perfect furniture for Your Living Room. Strong Construction. Easy to Assemble.Details:Coffee Table: 40 In. Dia. x 18 In. (H)End Table: 24 In. Dia. x 24 In. (H)Console Table: 40 In. Dia. x 18 In. x 30 In. (H) Mirror: 26 In. x 33 In. 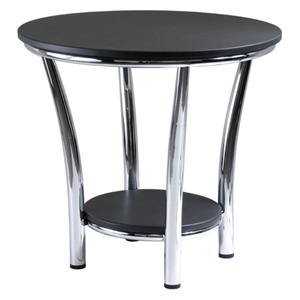 This 3 Pcs Coffee and 2 End Table Set is available in a Chrome and Glass Top. End Table Size: 23 In. (L). x 23 In. (W). x 21 In. (H). Coffee Table Size: 46-3/4 In. (L). x 25-1/4 In. (W). x 17-3/4 In. (H). 3-Piece Coffee And End Table Set. Beautiful Design. This Occasional Tables Are The Perfect Choice For Your Living Room. Easy To Assemble.Details: Coffee Table: 52 In. x 30 In. x 18 In. High., End Tables: 26 In. x 22 In. x 22 In. High. Coffee Table In A Beautiful Design That Would Look Perfect In Your Living Room. Matching End Tables Are Also Available To Complete The Set. Details: Coffee Table: 51 x 30 x 19H., End Table: 27 x 24 x 24H..
3-Pc Hi-Lacquer Finish Coffee And End Table Set With Bevelled Marble Finish Glass Top. Easy To Assemble. Details: End Table: 23 In.(L). X 22 In.(W). X 20 In. (H)., Coffee Table: 48-3/4 In.(L). X 24-1/2 In.(W). X 15-1/4 In.(H). Brown Finish Coffee Table. Ball And Claw Design Coffee Table With Nautilus Shell Insert. Dimensions: 50L. X 28W. X 19-1/2H.. Also Available (Not Included In The Price) End Table, Size: 28L. X 24W. X 24H. ; And Sofa Table, Size: 50L. X 18W. X 29-1/2H.. Easy To Assemble. Coffee Table In Rich Brown Finish. Shaped Legs, Recessed Top Framed. Dimensions: 50L. X 30W. X 19H.. Also Available (Not Included In The Price) End Table, Size: 28L. X 23W. X 25H. ; Sofa Table, Size: 54L. X 20W. X 31H. ; And Square Table, Size: 40L. X 40W. X 19H.. Easy To Assemble. 3-Piece Coffee And End Table Set. This Beautiful Design Is The Perfect Choice For Your Living Room And A Touch Of Exquisite Taste. 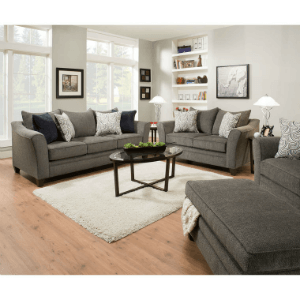 The Set Includes: Coffee Table: 48 x 26 x 18H., And Two End Tables: 24 x 22 x 22H.. Also Available (Not Included In The Price) Sofa Table: 48 x 18 x 30H.. Easy To Assemble. 3-Piece Quartz Coffee/End Table Set. Featuring Genuine Slate Tile Tops, And Magazine Shelves. In Earth-Color Slates And Stain Black Finish. Also Available (Not Included In The Price) Matching Sofa Table. Beautiful Design. Check Related Items For Quartz Style Bar Set and Dining Set. 3-Pc Rustic Oak Finish Coffee And End Table Set. Details: End Table: 21L. X 18W. X 19-3/4H., Coffee Table: 48L. X 24W. X 16L.. Easy To Assemble. 3 Piece Occasional Table Set with wood Tops and Steel Bases In Oak And Balck Finish. 3-Piece Twisted Lace Coffee And End Table Set. Beautiful Design In Pine Finish And Plumb Legs. This Coffee And End Table Set Is The Perfect Choice For Your Living Room. 3 Pc Coffee/End Table Set. Includes Coffee Table And Two End Tables. This Set Is Simple Yet Beautiful For Your Home. Strong Construction. Easy To Assemble.Details:Coffee Table: 48 In. x 26 In. x 16 In. (H)End Table: 24 In. x 22 In. x 20 In. (H).